Big Fan Premieres on ABC Monday January 9! ABC's New Comedic Game Show 'Big Fan' From Jimmy Kimmel and Banijay Studios North America premieres Monday, January 9, with two back-to-back episodes. The celebrity cast of ABC's new comedic game show "Big Fan" features a spectacular line up of stars, including actress Kristen Bell ("Veronica Mars," "Frozen"); reality television personality, actress, socialite and model Kim Kardashian West ("Keeping Up with the Kardashians"); Academy Award®-winning actor Matthew McConaughey ("True Detective," "Dallas Buyers Club") and NFL football quarterback Aaron Rodgers (Green Bay Packers). Jimmy Kimmel, host of the 89th Oscars®, teams with Banijay Studios North America to produce. Big Fan is based on the hilarious "Who Knows…?" the celebrity vs. super-fan game segment that originally aired on "Jimmy Kimmel Live." The segment became a viral video success when pop star Katy Perry went up against one of her biggest fans and lost. "Big Fan" premieres MONDAY, JANUARY 9 (10:00-11:00 p.m. EST), immediately following "The Bachelor." SEE ANDY RICHTER TALK ABOUT BIG FAN ON JIMMY KIMMEL LIVE! Hosted by Andy Richter, each episode of the half-hour, studio-based game show will feature one celebrity and three of his or her fans battling it out to prove who is the ultimate super fan. Contestants will go head-to-head to see who knows more about the episode's featured celebrity. The winner will move on to the final round in an ultimate showdown, celebrity vs. super fan, to see who knows most about the celebrity. If the super fan wins, they will be awarded a priceless experience with the celebrity. 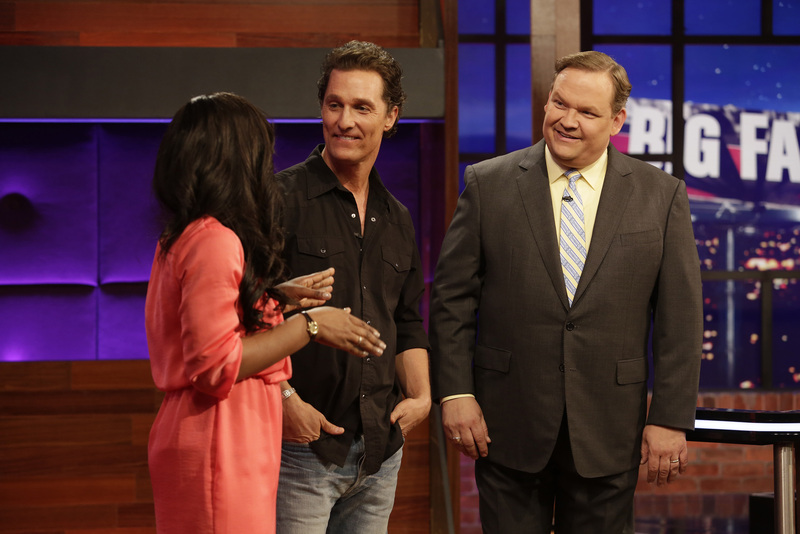 "Big Fan Matthew McConaughey" MONDAY, JANUARY 9 (10:00-10:30 p.m. EST) – Academy Award®-winning actor Matthew McConaughey goes up against a few of his biggest fans to see who knows more about Matthew McConaughey – him or them. 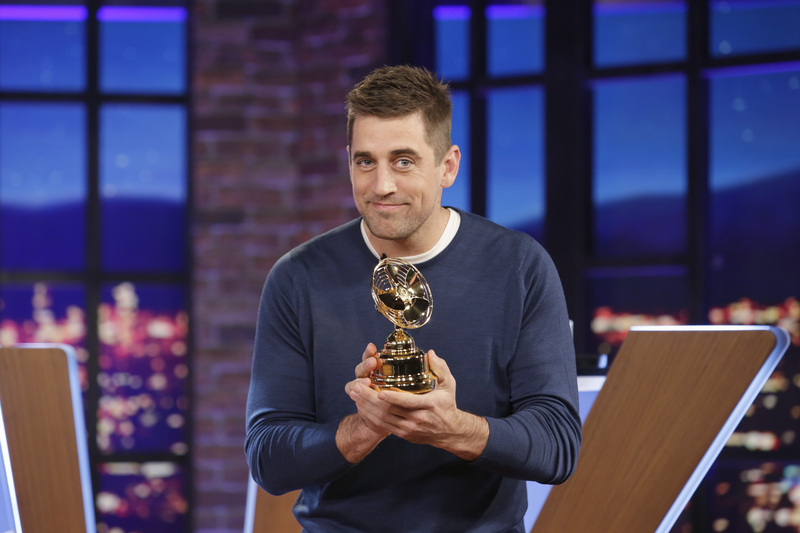 "Big Fan Aaron Rodgers" MONDAY, JANUARY 9 (10:30-11:00 p.m. EST) – Three football buffs step up to challenge Green Bay Packers' Aaron Rodgers, and special guest Alex Trebek stops by to give host Andy Richter a few pointers. "Big Fan Kim Kardashian West" MONDAY, JANUARY 16 (10:00-10:30 p.m. EST) – Among Kim Kardashian West's millions of followers around the world, three are chosen to battle it out to be crowned her #1 super fan. "Big Fan Kristen Bell" MONDAY, JANUARY 16 (10:30-11:00 p.m. EST) – Actress Kristen Bell meets some of her biggest fans, but only one will win a "Frozen" experience of a lifetime.